Maybe it was because I was called Miss Piggy when I was a child. Or maybe it’s because I can do a great pig snort imitation. Whatever the reason, I now call myself a Ham. Before snap chat, twitter and Facebook there was this other social media called Ham Radio. A community of folks, mostly men, that rag chew about various subjects. I listen in and find their conversations fascinating, educational and entertaining. My fascination started with the radio when I was a little girl. My grandparents had a shortwave radio. I’m not sure why or how, but I ended up with that radio. A few buttons or knobs had come off, but it was still usable. I tuned in to El Radio de Havana, Cuba, Voice of America, etc. I could also hear the air traffic controllers from nearby RDU International. I suppose that was where my notion of being a pilot came from. That never came to fruition, because my father was once on a plane when an engine blew out. He never flew again and certainly didn’t want me flying either. In college I had an interview for air traffic controller. I passed out when I went for the physical(before the needle even hit my arm). Maybe that indicated I wouldn’t be able to handle the pressure. Probably saved many lives by not following that career path. So, now, many years later, I found the hobby of Amateur Radio. I passed the test to become a Technician and bought a little hand-held radio and listened. I never jumped in on a conversation, though I should have. A friend found out I was interested in Amateur Radio and gave me the equipment belonging to his father, now a silent key. I couldn’t use it, because I didn’t have the General license, so I stored it in my basement. Earlier this year I searched for emergency communications and found that the North Carolina Baptists on Mission was holding a Disaster Relief training and included an option for amateur radio operators and IT professionals, so I signed up. (I’m not an IT professional, by the way). Very quickly I discovered I was out of my league and my Technician License wouldn’t help out the group in a disaster. In June, I passed my General Exam and started participating in the online discussions with the NCBEARS(NC Baptist Emergency Amateur Radio Service). With help from my Elmers online, I set up my Radio and G5RV inverted Vee antenna and finally made my first contact just as Hurricane Florence was headed in my direction. The NC Baptists on Mission organization provides food, laundry services, showers, child care, and communications in Disaster Areas. Manna One and our Comm trailer is on-site in New Bern as of yesterday, ready to help those affected by the hurricane. I was sitting with my writing sojourning friends at our August meeting in a Subway restaurant, and I happened to look out the window and saw this. While I was getting my phone out to snap the picture, Val, our fearless leader, said I must have a special gift to see rainbows. I had never thought about anyone having any special ability that gave them a sensitivity to rainbows that others didn’t have. But then I thought about the other pictures I had taken of rainbows, and thought, maybe I do. The first snapshot of a rainbow happened when I walked by my back door and glanced out the window. I did a double take. I called my son to come look, and then I either had him snap the picture (because his phone is ALWAYS with him), or I had to go get my phone. Anyway, I snapped the picture. I had never seen a rainbow this low to the ground. If I had gone out there I feel like I could’ve touched it. I regret not trying to get a picture of me or my son standing under it, because there, in the middle, is a path that leads to a field. It made me think it was a portal of some kind. What was this telling me? And then one day, on my way home from work, I passed by my church and had to quickly put on the brakes and pull into the parking lot. Thankfully, no one was behind me. I had not, at this time, learned that my phone’s camera has a panorama feature that would have allowed me to get one good shot of the bow that went from one side of the church to the other. So I had to take several. They did not do it justice. And then one evening, as my son and I came home, we pulled into the driveway and saw another rainbow. Using the Pano feature, I was able to capture it in one shot. I will count it a wonderful blessing to see rainbows. There are so many hurting people out there that need to see rainbows in the midst of the storm and turmoil in their lives. 2 At once I was in the Spirit, and there before me was a throne in heaven with someone sitting on it. 3 And the one who sat there had the appearance of jasper and ruby. A rainbow that shone like an emerald encircled the throne. [ The Angel and the Little Scroll ] Then I saw another mighty angel coming down from heaven. He was robed in a cloud, with a rainbow above his head; his face was like the sun, and his legs were like fiery pillars. During the election season I was given a free copy of a book that was being re-released. I intended to blog about it, even though it was an opposing viewpoint from my own. I was willing to write the author’s assertions and then state the reasoning for my position. But I got to one chapter that made me sick to my stomach. I could not in good conscience lead anyone to read this book, which essentially said that abortion helps to lower the crime rate. First of all, I thought that in our courts we are innocent until proven guilty. I suppose that is the case, unless you’re in your mother’s womb. Then you’re guilty if your mother says you are. With no evidence. And no crime. In our legal system, we rely on evidence. And sometimes science plays a large part in bringing the evidence to light. DNA was first used in criminal cases in 1986. Since then, innocent people have been set free after serving a prison sentence for crimes they didn’t commit. And, likewise, people have been found guilty after years of no evidence. Cold cases have been solved. Simply from analyzing the DNA. In 1973 Roe v Wade was decided before the Supreme Court of the United States based on the argument that a woman should be able to have an abortion because it was her own body. However, if the DNA was analyzed in that excised part of “her body”, I think we’d find that it wasn’t her body at all. The DNA evidence would suggest that this was in fact, another person. Another body. Another crime victim. Is it time to use new science for a cold case? The Youth Leaders in my church took our youth to see The Case for Christ at the Palace Pointe theatre when the movie was first released. I loved it and told others to go see it. Then I had the pleasure of meeting the screenplay writer of the movie, Brian Bird, at the Blue Ridge Mountain Christian Writers Conference where he taught us how to write screenplays. He is also an executive producer for the show, When Calls the Heart, on the Hallmark Channel(which I love). Needless to say, I had to take a selfie with him. I saw this review of the movie and had to laugh(My last post is also a video from this same man, David Wood, who you’ll find in the book Seeking Allah, Finding Jesus by Nabeel Qureshi). I think Mr. Bird would be pleased about this review. The movie is out on DVD now. GO GET IT. I’m thinking of buying several copies to give away. BTW, I love movies with Christian themes. Yes, even the low budget ones. Jesus answered, “I am the way and the truth and the life. No one comes to the Father except through me. John 14:6. He is the only way, Home and Family people. I have spoken before about my son’s seizure disorder. I’m so blessed that medication works for him. We had a recent scare when we were half-way to the beach and realized he had left his pills at home. Not wanting to turn around, I called our insurance provider and his doctor to get his prescription called in to a pharmacy near our resort. We had to get the generic version because the brand would have costed $1100 for a 30 day supply. For the few days at the beach we thought we could get by with the generic. Anyway, because my son has a disorder dealing with the brain, I have studied aspects of the brain I would not normally study. I’ve learned about brain plasticity and seizures and tumors, etc. But with all that knowledge available about the brain, scientists are still baffled by some things that happen there. I have learned that the criminal brain is different from the “normal” brain (like mine, lol). MRIs done on criminal brains have shown striking abnormalities. Click here for an article on the subject. I ran across this video by someone who had no regard for right or wrong. He would have been labeled a Psychopath. I hope you watch it to the end and then read the rest of my post. I would say that this man had a criminal brain. He met the creator of that brain. His mind was made new. Transformed. I don’t know if he had MRIs before, but I know he has a different brain now. 21 when you heard about Christ and were taught in him in accordance with the truth that is in Jesus. 22 You were taught, with regard to your former way of life, to put off your old self, which is being corrupted by its deceitful desires; 23 to be made new in the attitude of your minds; 24 and to put on the new self, created to be like God in true righteousness and holiness. I’m reading a book I heard about on the Home and Family show on the Hallmark channel. It seems the book has the answer to cure everything–cancer, autoimmune disorders, diabetes. For the most part, I believe it may just have the answers for many ailments. 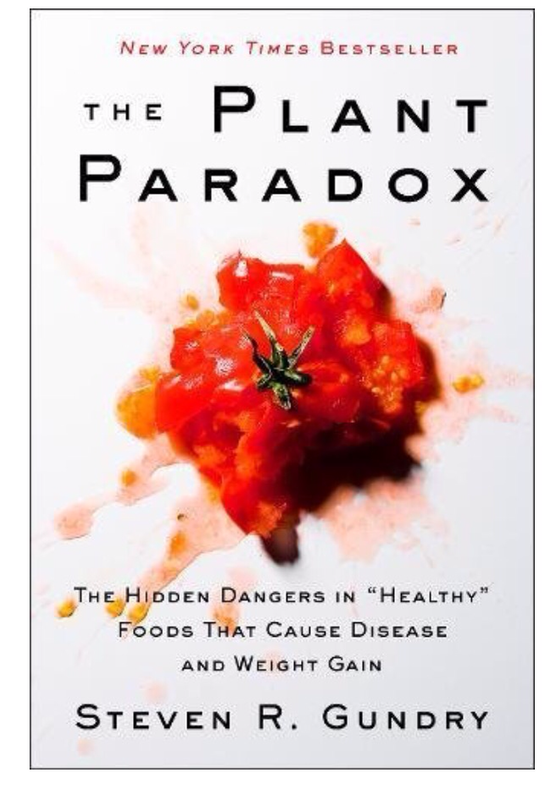 In The Plant Paradox, Steven R. Gundry, MD explains that food we think is healthy, is really not. Like tomatoes. I love a good tomato biscuit with butter. Yummy. But the way we southerners eat it, it is not so healthy. It contains Lectins which is part of a plant’s defense mechanism. Lectins are bad and can be found in the seeds and the skin of the tomato, and in the gluten in the biscuit and in many of the staples in our pantries. If I feel that strongly about the book, then I should be telling people about it. Especially those that may be hurting with disease. I should shout, “read this and be healed”. But instead I will tell a few friends and family who may think I’m crazy to believe a book to be the answer. And yet, a Book is the answer. There are those who will immediately know where I’m going with this post. Because you know the book I’m talking about. I’ve told the young people in my church that this book has the answer to everything if you just search for it. and do not forget all his benefits. he heals all your diseases. he crowns you with faithful love and compassion. your youth is renewed like the eagle’s. Did you get that? He heals all your diseases. In the New King James Version, verse 5 says, He satisfies your mouth with good things and your youth is renewed like the eagle’s. A leader and commander for the people. It has been a few days since coming home from my writers conference held at Ridgecrest nestled in the Blue Ridge Mountains. This particular conference is a revival of sorts for me, and I get a little blue when I return home. I fellowshipped with people like me who have ideas they want to share and want instruction on how to do it effectively. I have worshipped, laughed and have had some thoughts validated. I met some incredible people who have incredible stories to tell. But I can’t stay there in that mountaintop euphoria. I have to come down from the mountain. Our Bible study lesson this Sunday at church was on the Great Commission from the book of Matthew, chapter 28. In verse 16 the 11 disciples went to Galilee to the mountain where they met Jesus. He told them to go and make disciples of all nations. The disciples couldn’t stay on the mountain with Jesus, though I’m sure they wanted to. No, they had a mission that they could not fulfill by staying up there. 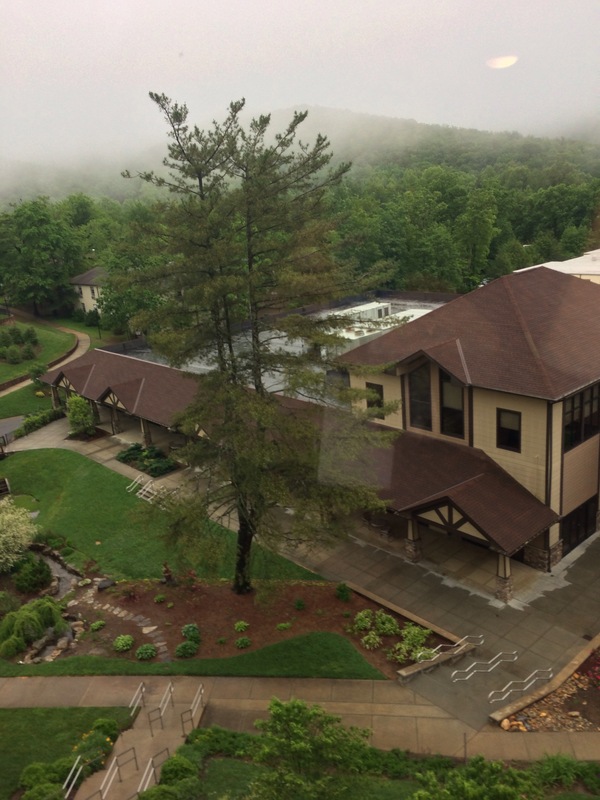 We have a mission that cannot be carried out up on the mountain at Ridgecrest. We must go, write, teach, preach and show the love of God to those we encounter, whether it be by screenplay, novel, devotion, Bible study, memoir, sermon, or non-fiction book. It was great to get back to my home church where we had two baptisms in our Sunday Morning Service. Buried with Christ and raised to walk in newness of life. A beautiful picture of a life that is changed by the cleansing we receive by coming to Jesus–whether we meet him on a mountain or in the lowlands. My husband is an enigma. He could fit into several Love Language categories. They say you speak your own love language. If that is so, then my husband’s love language is Gifts. But he could also be Touch, Acts of Service, and Words of Affirmation. Because he is good at all of those. He is definitely a gift giver. He loves to shop for other people and he does it well and would make an excellent personal shopper. If your love language is Gifts then you feel loved when people give you something. It doesn’t have to be big or expensive. The greatest gift was given many years ago just for you. You should feel so much love. The song below says it perfectly. “The story of amazing love. The light of the world given for us. Noel”. Here is my gift giver. 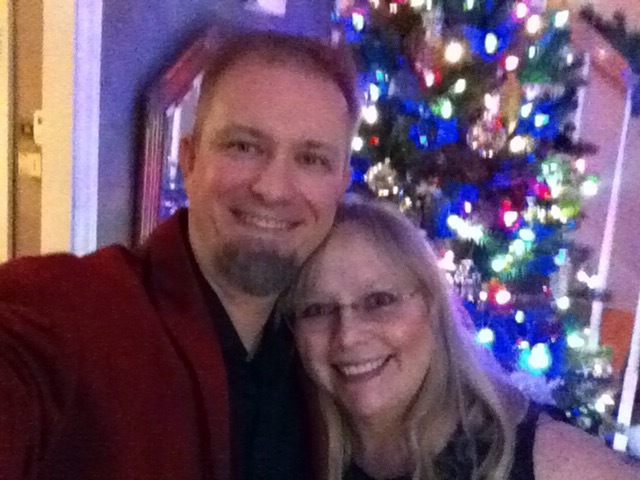 We celebrate our 28th wedding anniversary on New Years Eve. I’m obsessed with the FYI TV show Married at First Sight–a reality show that “scientifically” matches couples who will not meet each other until they are in front of the minister at their wedding. I want these marriages to work, because I believe marriage is holy. So, what does my obsession with Married at First Sight have to do with the Five Love Languages series I started in my previous post? Sonia and Nick (Sonic) quickly became my favorite couple in this latest six week “experiment”. Early on Sonia made it clear that her love language was words of affirmation. She needed to hear that she was special, appreciated and pretty. If she didn’t get those things from Nick, then she would not feel loved–her emotional love tank would not be filled. Harsh words, in particular, can be devastating, as we saw when Nick lashed out saying he didn’t find Sonia attractive. Her response was to move out, because she did not feel loved and probably at that moment hated Nick. If your “Love Language” is Words of Affirmation you want to hear of your worth and beauty, but maybe you’re not hearing those things from the people you love. 9 But you are a chosen people, a royal priesthood, a holy nation, God’s special possession, that you may declare the praises of him who called you out of darkness into his wonderful light. 3 See what great love the Father has lavished on us, that we should be called children of God! And that is what we are! The reason the world does not know us is that it did not know him. Each year I choose a passage of scripture to meditate on each day–the same verses every day. I wanted to imprint it on my mind like a TV or computer monitor would imprint a picture if the same picture remained frozen on the screen for a long time. I started in 2014 with Psalm 23 — the Good Shepherd verses. In 2015 I chose Psalm 139. I’m still meditating on Romans 8: 38-39 for 2016. It recently occurred to me that the verses I chose to read every day spoke to me because it revealed how God shows his love for me in my love language. I wrote about my love language in a previous post. I feel loved when someone wants to spend time with me. This is called “Quality Time” in the book THE FIVE LOVE LANGUAGES by Gary Chapman. God wants to spend time with me. His Word tells me so. Stay tuned for future posts. I plan to share passages that meet the other love languages. Maybe you’ll find love in the pages of the Bible.